Email us your video audition to jobs@highpointrockers.com! Want to be a part of the 2019 High Point Rockers season?! Audition to be a seasonal cast member of National Anthem singer! 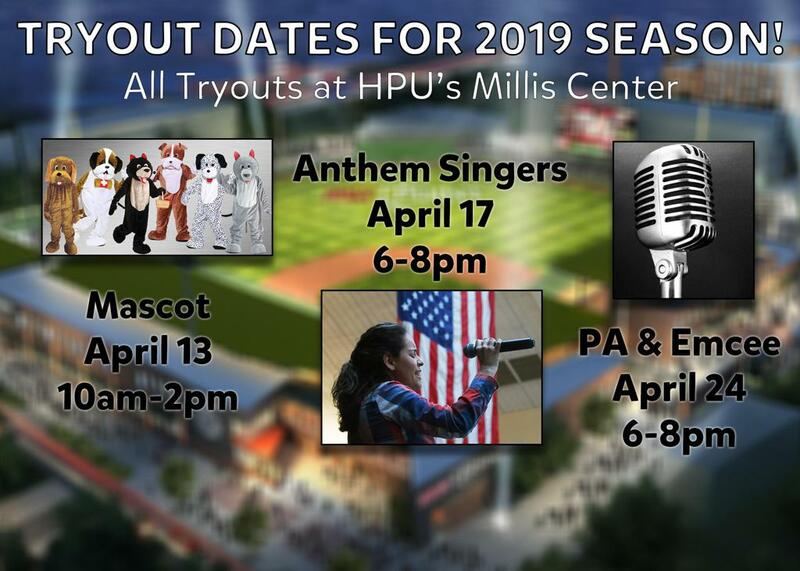 Mascot tryouts will be held on Saturday, April 13th from 10am-2pm while auditions to sing the National Anthem will be held on Wednesday, April 17th from 6-8pm. The following week, April 24th, auditions will be held for those interested in being the Public Address Announcer or On-Field Host from 6-8pm. All auditions will be held at HPU's Millis Center and will be conducted on a first come first serve basis. Those who are unable to attend may send video auditions to jobs@highpointrockers.com.